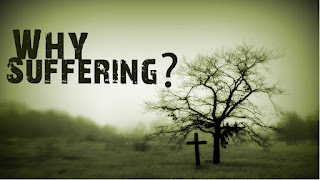 Home / Christian News / God / suffering / Why Is Suffering Makes You Stronger? 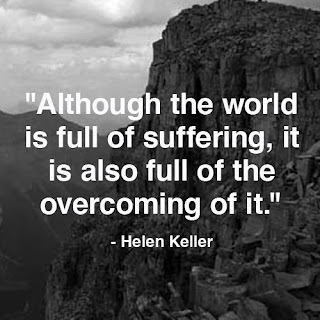 Why Is Suffering Makes You Stronger? The question of human suffering has led many people to doubt God's love, especially when that suffering becomes personal. When you are the one in the middle of the storm and the pain, you find yourself being driven to the edge. Either your faith deepens to new levels, or you consider blaming God for allowing this pain into your life. It's only natural for man to blame God when suffering knocks on your door, and then rudely barges into your home and your life. The alternative to blaming God for suffering is to do what millions of Christians have done over the centuries. And believe it or not, it has allowed them to come through their suffering with even stronger faith in the Lord. I know it sounds illogical, but it has actually happened all over the world in the hearts and lives of believers who endured tremendous suffering. In other words, God can work through your suffering to make you stronger as a Christian. 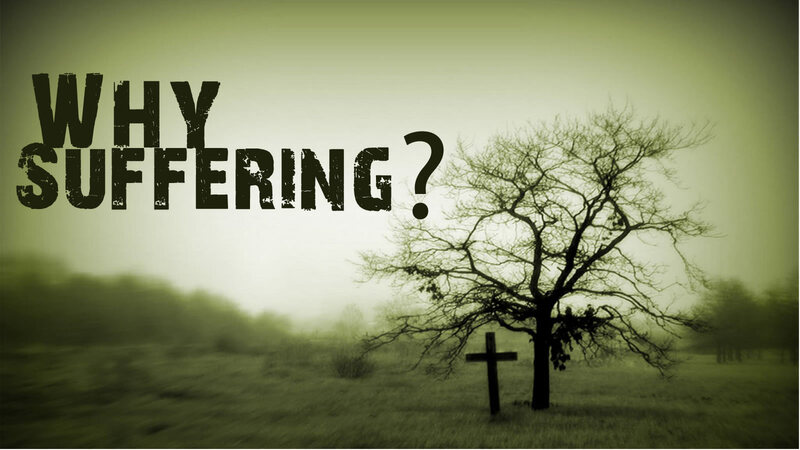 You may wonder, "Does one have to be a Christian in order to grow stronger through suffering?" Not necessarily. There are plenty of people in the world who endure suffering with nothing more than their own will power and determination. And some of them definitely develop strong character through it. And there are also situations where professing Christians don't handle their suffering the way God would like them to handle it. Rather than relying upon the grace of God to uphold them, they go through their trial without much prayer or dependence upon God. It's almost like they forget about God when "the bottom falls out." And so it's not as simple as painting all believers or all unbelievers with a broad brush. It comes down to how each individual is handling their personal suffering, regardless of whether they have a relationship with God or not. Having said that, there is no disputing the fact that God knows a lot about suffering on a personal level. The suffering Jesus endured when He was flogged and then crucified is beyond our comprehension. And the Bible assures us that Christ endured the cross so that His blood and sacrifice would pay for our sins, and we would be able to have a relationship with God that lasts forever. Perhaps you are able to accept this fact on an intellectual level. But what about on a personal level? That is to say, have you ever relied upon Jesus in the midst of personal suffering and experienced a depth with Christ like never before? Have you ever poured out your heart and soul to the Lord, while also trusting Him even when your circumstances seemed out of control and incredibly painful? When Paul was suffering as a result of his "thorn in the flesh," Jesus told him, "My grace is sufficient for you, for my power is made perfect in weakness." It is truly one of the mysteries of the Christian faith. How is it that a believer can actually become stronger on the inside when going through a situation that produces human weakness and human pain? How can your soul be so strong when your body is so weak and under such a heavy assault of one kind or another? The answer seems to be that when man stops trying to rescue himself and instead turns to the Lord, a door is opened for the power of God to fill man's life like never before. As long as we are relying upon our own strength and our own resources, we get what those things are capable of giving us. But the moment we hit rock bottom and give it all to Jesus, we find that there truly is supernatural strength available to those who throw themselves upon the mercy and grace of Christ. It is a "letting go" of relying upon myself, and a conscious decision to rely instead upon the One who endured the suffering of the cross for sinners like us. It certainly is a paradox of biblical proportions. And it only makes sense when a person is viewing it from God's perspective as revealed to us in the Word of God. In the realm of mathematics for example, one plus one equals two. And we would naturally assume that in the realm of suffering, any personal suffering we experience is evidence that God has forgotten us and doesn't care about us. We are tempted to believe this lie based purely on rational thought. But then Scripture bursts on the scene with some late-breaking news. It announces to me that while my suffering may be unexpected and unexplainable, it is nevertheless no surprise to the One who allowed it to enter my life. I may never understand on this side of heaven why God allowed it, but if I will throw myself and my own understanding upon the mercy and grace of Christ, I will receive power from on high to endure it. And I can even come out of it one day much stronger than when I entered that painful phase of my life. Here again the apostle Paul was inspired to pen insights from heaven so that Christians who are suffering would not lose hope or give up. God allowed Paul to go through suffering as an example that would bring encouragement to hundreds of millions of believers over the centuries. And Paul referred to these earthly troubles as "light" and "momentary." Now for the unbeliever, these words may ring hollow and provide no comfort whatsoever. But for the believer, these words provide encouragement to keep going, and assurance that God has not forgotten me even though my circumstances may suggest otherwise. The personal pain and torture shouted at Jesus, "You have been abandoned." In fact, no one knows more about personal suffering and a feeling of abandonment than the Lord. Some skeptics are quick to opine, "Your God must not be very powerful if He can't even stop all the suffering in the world." Well here's the deal. Adam and Eve were not created to suffer. There was no suffering in the Garden of Eden prior to man's sin. And there will be no suffering in paradise where all believers will spend eternity with the Lord and with one another. 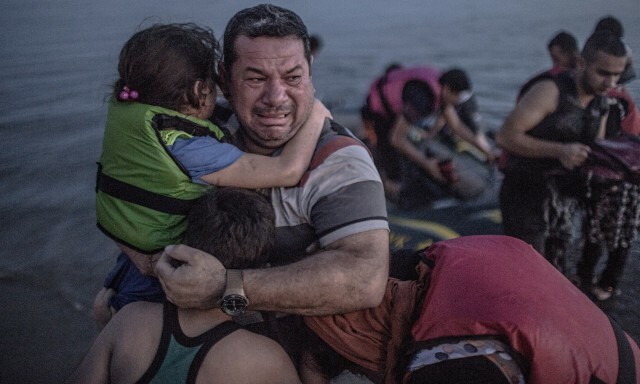 Suffering only happens in this world, and in hell. Heaven, on the other hand, like the Garden of Eden, is perfect in every way. "But my life on earth is already a living hell," you may say. "Why should I worry about some place called 'hell' as described in the Bible?" You probably won't be able to grasp the eternal realities of heaven and hell until you first come to grasp the love of the Savior for you personally. Apart from faith in Christ, you will never love Christ, and you will never have the Holy Spirit living inside you. Without this living water from heaven, you simply cannot see God's plan of salvation and God's eternal love for you. But if you humble yourself before the Lord, even in the midst of any personal suffering you may be going through, you will find that the power and grace of Jesus is more than able to meet you at your point of sin and your point of suffering. No one is condemned before God because of their suffering, but man is indeed condemned before God because of his sin. It was man's sin that sent Jesus to the cross, and it is man's sin that brought suffering into the world. No, we didn't light it, but we tried to fight it"
In reality, we did start the fire. Man chose to sin. Adam and Eve ate the forbidden fruit, and the rest as they say is history. This leaves each of us with two options. We can either blame God for our suffering and miss out on the grace and power of Jesus forever, or we can cast ourselves upon the love of God and believe that God is greater than our suffering. If we choose to believe that God is greater than our suffering, we have made a wise choice. And if we choose to trust Christ rather than to blame Him, we will find that God's love for us is much higher than our temporary pain and heartache. God chose to create man. In turn, man chose to sin and thereby "start the fire." God chose to send His only Son to redeem man from sin and suffering. Meanwhile, God allows man to experience pain in this world, and even in the next world for those who reject the love of God in Christ. And each person gets to decide whether to trust God or blame God when life doesn't make sense, and when personal suffering comes barging through the front door of your earthly existence. When Jesus becomes as personal as your suffering, you will have reached a new level of faith, perseverance, character, and hope. And you will find yourself trusting God in spite of whatever circumstances or people may be telling you that you are a fool to do so. As missionary Jim Elliot famously said, "He is no fool who gives what he cannot keep to gain that which he cannot lose." If you will give up control of your life to Christ, you will gain something far better. And if you will give up trying to figure out why you are suffering, you will discover that the love and grace of Jesus is more than able to carry you through your suffering all the way to paradise. "Lord Jesus, forgive my sins. And strengthen me in the midst of my suffering. I give you my sin, my heart, and my struggles. Cleanse me and grant me your strength and the power of the Holy Spirit. I give up trying to save my soul, and I give up trying to figure out why I am suffering. And in so doing, I ask you Lord to bring peace to my soul, both now and forever. Amen."